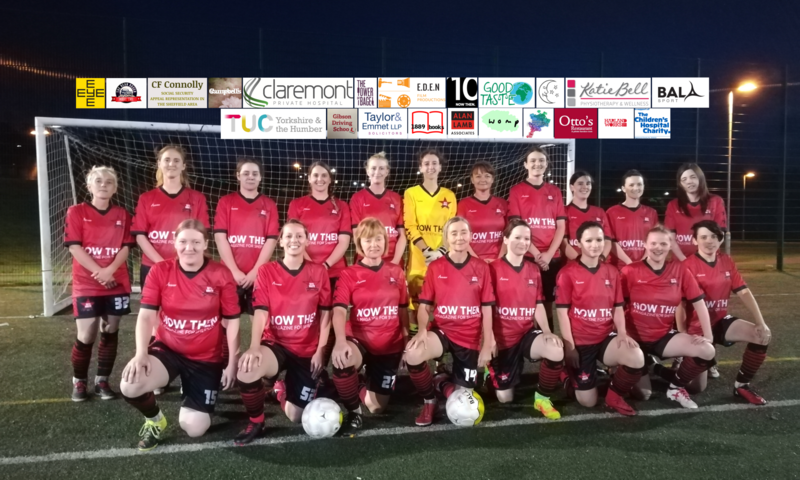 AFC Unity recently launched a “Football for Food” campaign encouraging players, managers and members of the public to bring along food donations to football matches. Donations are distributed to local food banks through Unity’s partners, the Sheffield Food Collective. 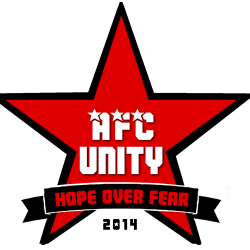 Everybody at AFC Unity is really behind the campaign- so much so that we wanted to have more of an insight into how our collected food donations benefit the local community. On Friday I went along to the Parson Cross Initiative’s food bank with two of our first team players, Sarah Richards and Charlotte Marshall. We were really keen to see for ourselves just how vital the work of food banks is to the local community. As soon as we walked through its doors, we could see how welcoming the Parson Cross Initiative food bank is. With a smiling volunteer offering us hot drinks, and a box of food labelled “help yourself,” we could see already how well the food bank reaches out to help the community. We were particularly touched to see on our way in that the food bank was promoting a special “#Unityis” campaign for us on the day, inviting visitors to the food bank to write down what they think unity is. Nick Waterfield from the Parson Cross Initiative kindly showed us around the food bank, and we loved seeing the storage rooms where all of the donations are processed and sorted. Although there were a lot of donations in the storage room, Nick assured us demand is always high, which means regular donations are needed. We explained to Nick that Unity loves using football as an instrument for positive social change, and that we are always keen to receive as many donations as possible to give to the food bank. It was nice to hear how some of the volunteers are previous users of the food bank who now want to help people in a similar position. I asked our players Sarah and Charlotte how they felt after seeing first-hand how our food donations benefit the local community. Nick told us that one in three users of the food bank are children under the age of eighteen; a statistic which very much affected us when we heard it. Since the campaign launched I have been putting food donations in a box, which I have known will help people, but actually going to a food bank and seeing the visible difference it makes has inspired me to keep donating even more. With one in five households in Sheffield suffering from food poverty, our football for food campaign is needed now more than ever.